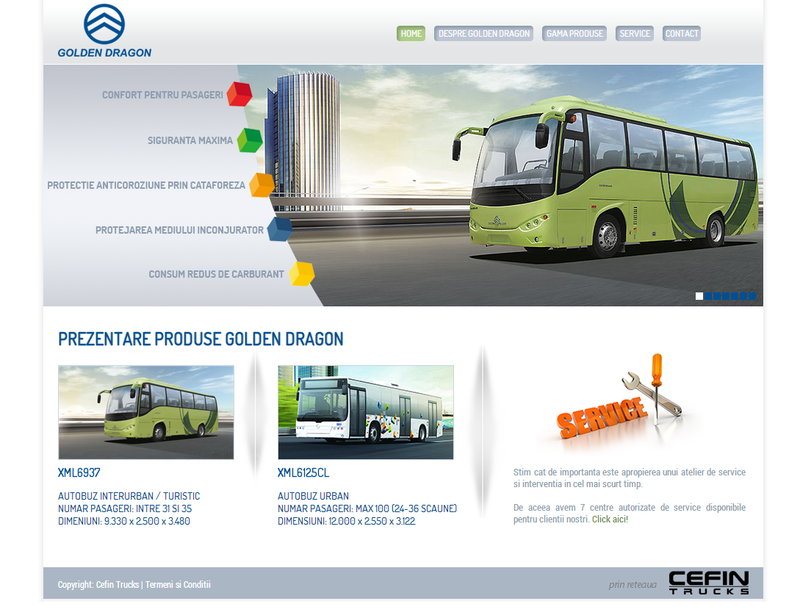 Golden Dragon Bus is a project of Cefin Trucks, one of the most important dealer of commercial vehicles in South Eastern Europe. 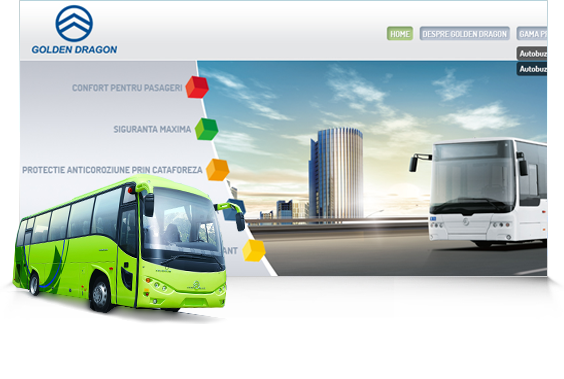 The website presents a whole new bus for the Romanian market, very attractive for the local transportation companies which look for cost efficient but also great transport quality for their customers. 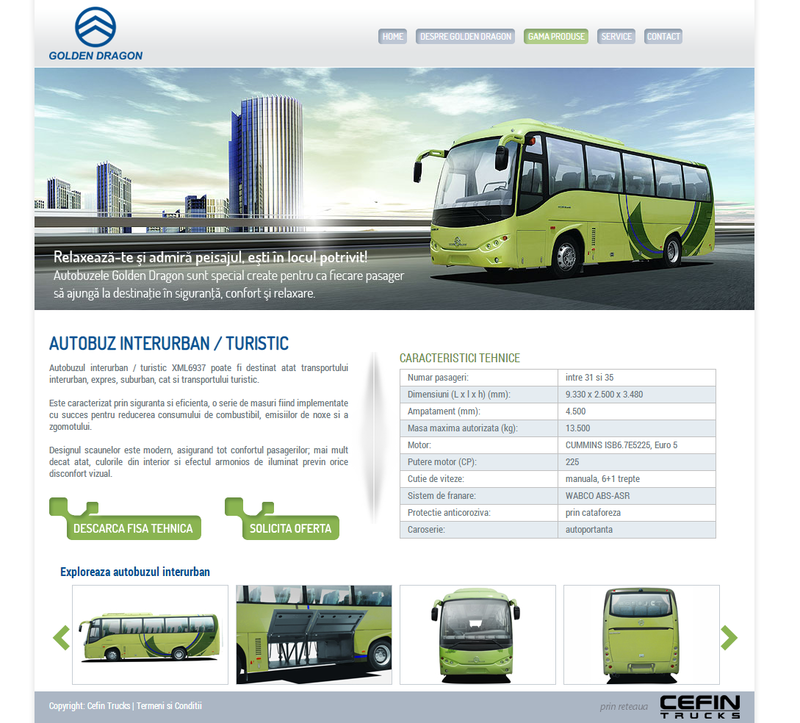 With a simple but yet attractive design, the website presents the bus features, emphasizing great quality for a small price. Interactive photo galleries, tables of features very well organized, all put in an easy-to-use website for any type of user. It represents a great tool for getting new requests for offer.